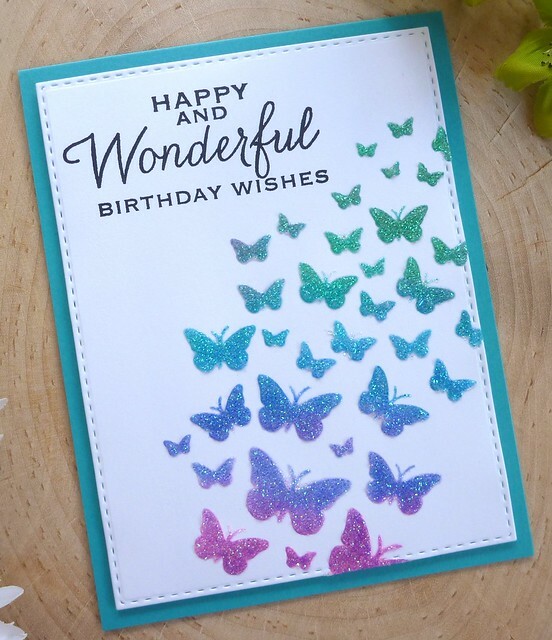 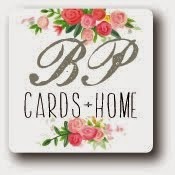 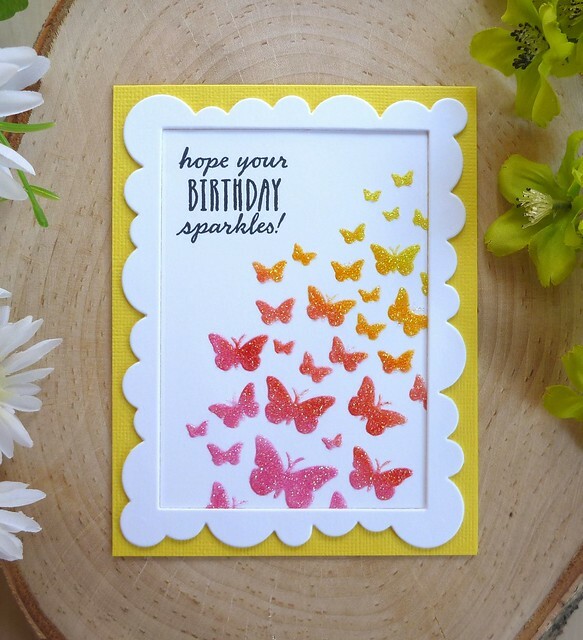 Sue what a stunning collection of cards, I love love those butterfly cards with the bead gel such wonderful colours. 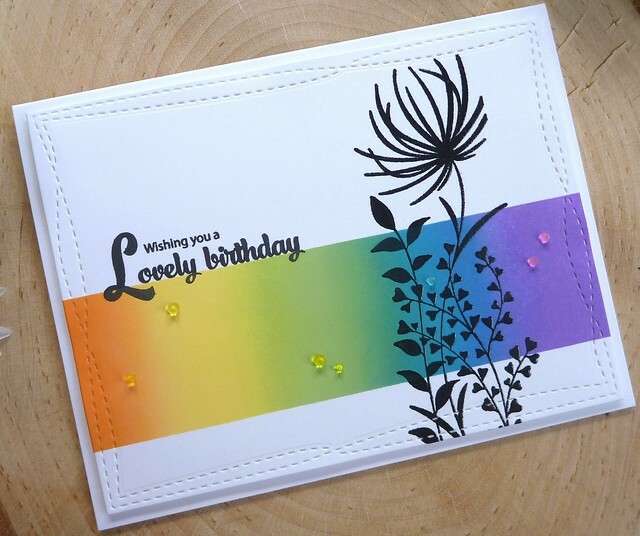 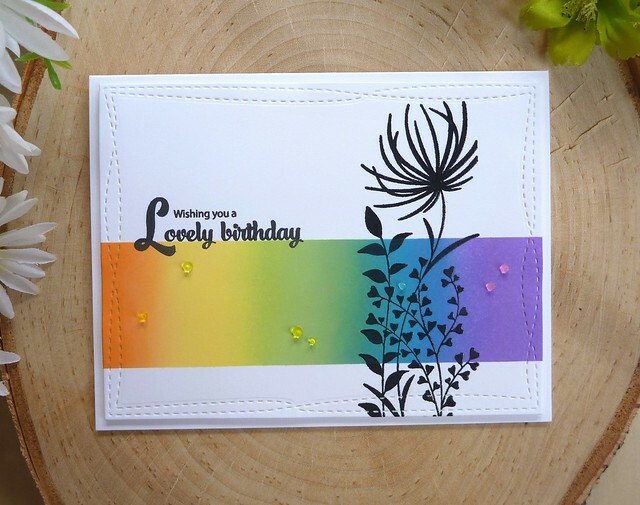 Then the card with the rainbow strip - perfection. 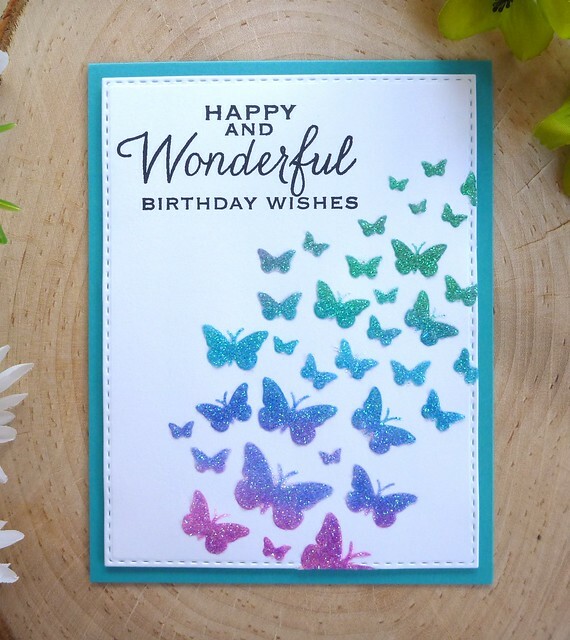 Beautiful butterflies! 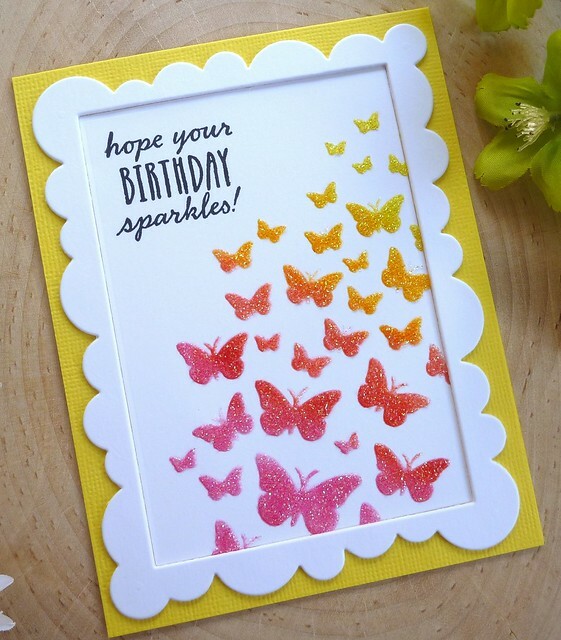 Love the sparkle!